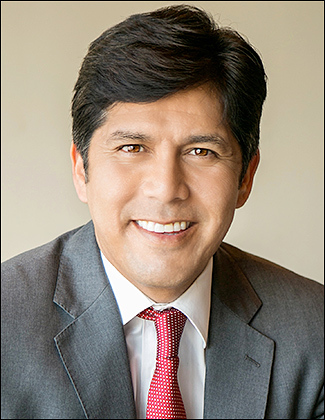 Oct. 18, 2018 — Survey USA released a poll of the California electorate, one more political study that finds Sen. Dianne Feinstein (D) failing to establish command in her race against fellow Democrat Kevin de Leon, a Los Angeles state senator. The S-USA data (Oct. 12-14; 1,200 California adults; 964 registered California voters; 762 likely California voters) sees Feinstein again locked at 40 percent support versus 26 percent for de Leon. This is the sixth survey from four different pollsters that finds the Senator in the mid to low 40s since the June 5th jungle primary. But de Leon fares much worse, failing to break 30 percent in any of the half-dozen ballot test questions. While all of the research suggests that Sen. Feinstein is politically weak, she will not lose this race. Though she brought in only $982,000 for the third quarter — a low number when campaigning in a state the size of California and understanding that many Democratic House candidates have brought in millions during the same period — de Leon raised just $254,000 and has a mere $309,000 cash-on-hand for the period ending Sept. 30. This is a low figure for a congressional race, let alone for a place that’s 53 times as large as a single CD. The other feature potentially making the California Senate race a wild-card contest is the vote drop-off that we will see when comparing turnout for this office to the rest of the statewide ballot. In 2016, when two Democrats were competing for an open Senate seat — the now-Sen. Kamala Harris vs. then-Rep. Loretta Sanchez (D-Garden Grove) — fewer votes were cast for that contest than in any other statewide election, including all of the ballot propositions. In fact, over 1.9 million more people voted in the presidential race than in the Senate race, and 1.3 million more chose to decide the last ballot initiative that banned single-use plastic bottles. What occurred was a plethora of Republican voters simply skipping the Senate race rather than supporting one of the two Democrats. With de Leon running to the ideological left of Feinstein the Republican vote will likely drop even further, which becomes an interesting factor. Sept. 21, 2018 — From the 35 US Senate in-cycle races it is clear that the major contests are narrowing to 16 competitive political battles. A 17th campaign, the one in California between Sen. Dianne Feinstein (D) and state Sen. Kevin de Leon (D-Los Angeles), is also competitive, at least to a degree, but since both candidates are Democrats the outcome will not alter the partisan composition. Therefore, the Golden State does not factor into the battle for the Senate majority. Today, we look at eight of the races and provide a quick update on the latest developments. Concentrating on the 16, if Republicans win any four they will hold at least a bare majority. The race between Reps. Kyrsten Sinema (D-Phoenix) and Martha McSally (R-Tucson) has been flip flopping in the polls. Seven polls have been released in September. Rep. Sinema has led in five by an average of 3.4 percentage points. Rep. McSally took the lead in two surveys, with a mean of two percentage points. A new independent group entitled Defend Arizona has launched a series of ads attacking Sinema that highlight previous statements advocating leniency for men who engage in child prostitution when the latter individual looks older than her age. How this line of attack will affect the race remains to be seen. Sen. Bill Nelson (D) is facing the strongest challenge of his career from Gov. Rick Scott (R). This race has been frequently polled, and no September study gives either man a lead of more than two points. Three polls project a Scott lead of one or two points. One survey gives Sen. Nelson a one-point edge, and a fifth study finds the two candidates deadlocked in a flat tie at 49 percent apiece. Some believe that Tallahassee Mayor Andrew Gillum’s presence on the statewide ticket as the Democratic gubernatorial nominee will help Sen. Nelson, others believe it will hurt. Those arguing that Gillum helps say that he will increase minority turnout, and that Nelson will tangentially benefit because such voters would likely vote straight Democratic. Those believing Gillum is a negative indicate that he will be portrayed as being too far left, which could be an impetus to spur more conservatives to vote. 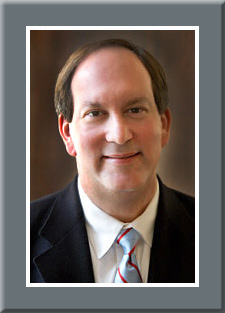 Sen. Joe Donnelly (D) faces former state representative and international businessman Mike Braun (R). Fox News conducted the only September poll in this race. Among likely voters, Braun had a two-point lead. But the registered voter universe tipped the scale toward Sen. Donnelly by a margin of just one point. This is one more race that is a pure toss-up as we approach the last month of campaigning. Sept. 10, 2018 — Sen. Dianne Feinstein (D) was first elected a California senator back in 1992 when she won a special election to fill Pete Wilson’s unexpired term. Wilson left the Senate when he was elected governor in 1990, ironically, defeating Feinstein to win the post. He then appointed state Sen. John Seymour as his replacement, who then lost the special election challenge to Feinstein. She won a close re-election in 1994, and then won easily in 2000, 2006, and 2012. Despite being 85 years of age, the senator currently is running for a fifth full, six-year term. However, this 2018 campaign is a much different one for the veteran senator. Pitted against another Democrat in the general election thanks to California’s top two (regardless of political party affiliation) primary nomination system, this contest appears to be the most difficult one she has faced since losing to Wilson in the governor’s campaign, and then barely winning Senate re-election four years later against then-Congressman Michael Huffington (R). While the senator has led in every poll and finished first in the jungle primary, she has yet to top 50 percent. The new survey released late last week from Probolsky Research (Aug. 29-Sept. 2; 900 registered California voters), actually places her not only below 50 percent, but well under 40 percent. According to the Probolsky, Sen. Feinstein leads state senator and former state Senate President Kevin de Leon (D-Los Angeles) by only a 37-29 percent margin. July 30, 2018 — The Public Policy Institute of California (PPIC) released a new survey of the Golden State electorate, and the pollsters uncovered some new information about the double-Democrat US Senate race that voters will decide in November. According to the PPIC data (July 8-17; 1,711 adult California residents, 1,420 registered California voters, 1,020 likely California voters — questionnaire provided in English and Spanish), Sen. Dianne Feinstein (D) would lead state senator and former Senate President Kevin de Leon (D-Los Angeles), 46-24 percent, a margin that again shows incumbent weakness. In no poll has Feinstein ever reached the majority support plateau of 50 percent or more. Additionally, in the June 5 jungle primary, she received just 44 percent of the vote, but that compares to Mr. de Leon’s 12 percent, and he finished second. In all, 32 candidates were on the Senate jungle primary ballot. But this PPIC poll found new key information, which provides even worse news for Sen. Feinstein. Though she still must be rated as the favorite, it is becoming clearer that de Leon is developing at least a narrow victory path. A desertion among Republicans could be problematic for Feinstein, and that appears to be happening. In a two-person race, the PPIC poll finds just 70 percent making a candidate choice. But that does not mean the remainder is fully undecided. Actually, 20 percent are saying they will deliberately skip this race, almost all of which align themselves with the Republicans or are not affiliated with a major party. The same phenomenon happened in the 2016 general election US Senate race when then-Attorney General Kamala Harris (D) defeated US Rep. Loretta Sanchez (D-Garden Grove). Some theorized that Rep. Sanchez could be a strong candidate because she was more likely to attract Republican votes than the much more liberal Harris. Sanchez is a female Hispanic from southern California and had a textbook profile to, at least on paper, win a statewide race there. But, such didn’t prove true because so many Republicans simply skipped the Senate race even though they were in the polling booth or cast a mail ballot. 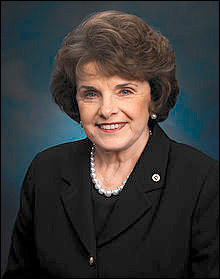 July 17, 2018 — Five-term Sen. Dianne Feinstein (D) lost the official California Democratic Party endorsement to her general election rival and fellow Democrat, state Sen. Kevin de Leon (D-Los Angeles), this past weekend in Oakland, attracting an embarrassing seven percent of the vote among the Democratic Party delegates. Sen. Feinstein knew she was headed for defeat within the party structure formal endorsement process, so she was campaigning for the delegates to vote “no endorsement.” This ploy garnered more votes than she received, as 28 percent of the delegates supported the party taking no official action in the Senate race. Thus, Sen. de Leon received 65 percent of the delegate vote, exceeding the minimum threshold of 60 percent to claim the party endorsement. The action means that de Leon will be designated the official party candidate on the ballot, obviously an unusual situation for a challenging Democrat opposing an incumbent of the same party. So unusual, in fact, that in no other race where two Democrats are facing each other in the general election, from the statewide contests through the state assembly races, did the party delegates choose the challenger over the incumbent. In winning the party endorsement, Sen. de Leon will be entitled to direct party funding and access to the state party’s fundraising and voter databases. Though having access to these resources should result in him raising an estimated several hundred thousand dollars, such an amount is just a drop in the bucket as to what a candidate in the nation’s most populous state needs in terms of financial resources necessary to compete.